Curious: India not known for its own infrastructure is offering to help its neighbours! “Indian Prime Minister Narendra Modi has secured agreements to develop islands in Mauritius and Seychelles in an early success for his drive to wrest back influence in the Indian Ocean from China. China has invested millions of dollars in recent years building seaports and highways in countries stretching from the Maldives to Sri Lanka that lie on vital shipping lanes through which much of its energy supplies and trade passes. India, alarmed at the prospect of China building a network of friendly ports in a “String of Pearls” across the Indian Ocean, has stepped up its diplomacy, offering a range of civil and military assistance. via India in pacts to develop infrastructure in Mauritius, Seychelles | Reuters. A bid by Prime Minister Narendra Modi to make it easier for businesses to buy farm land for infrastructure and industry has sparked a backlash that could stymie his efforts to get reforms through a parliament session that began on Monday. While the change is aimed at unlocking hundreds of billions of dollars worth of projects, which have been stuck for want of land, opposition parties and rights activists say it discriminates against farmers. “We will protest and fight the government on this issue inside and outside parliament,” Ghulam Nabi Azad, a senior leader of the opposition Congress party, told the Indian Express. Modi issued an ordinance in December to exempt projects in defence, rural electrification, rural housing and industrial corridors from provisions of a law enacted by the previous Congress party government that mandated the consent of 80 percent of affected landowners for any deal. He had also ended the need for companies to conduct a social impact study of such projects, which would involve public hearings and, industry executives fear, drag on for years. The ordinance is a temporary order and needs the approval of both houses of parliament to come into force. It will lapse if parliament does not ratify it this session. via Modi’s bid to ease land for companies could impact reforms | Reuters. Prime Minister Narendra Modi is looking for foreign capital and expertise to build “smart cities”, high-speed trains and modern airports of the kind that China has built for itself in the past decade. The two leaders are expected to sign a deal to bring bullet trains to India and may also reach an agreement for the building of world-class railway stations and airports. The two countries laid the groundwork for Chinese investment in industrial parks in India when Indian Vice-President Hamid Ansari visited Beijing in June. Indian officials say they expect to ink deals worth $5 billion for two parks – one in the western state of Gujarat, Mr. Modi’s home state, and the other in Maharashtra. The idea is to make it easier for Chinese companies to set up shop in India. Territorial disputes that have long dogged Sino-Indian ties aren’t the focus of this visit, but are sure to come up. Two reports this week – one about an alleged incursion by Chinese troops in Ladakh and another about protests by Chinese civilians and troops against the construction of an Indian canal along the disputed border – have highlighted the unresolved issues. Even after 17 rounds of talks, no solution has emerged – don’t expect one during this visit either. Indian newspapers have been filled with anticipation about whether China will outdo its Asian rival, Japan, in promising investments for India. Earlier this month, Japan pledged to pour $35 billion into India over five years; China is expected to go further. Expect reams of analysis of Mr. Xi’s rapport with Mr. Modi. When Japanese Premier Shinzo Abe met Mr. Modi, they bear hugged. 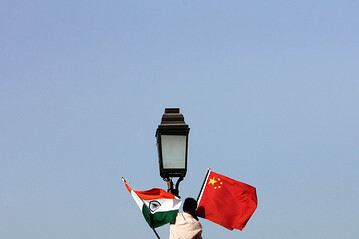 Officials have raised hopes of a “directional change” and an “orbital jump” in Sino-Indian ties, which have long been bogged down by bureaucratic mistrust. Trade relations have flourished in the past decade, but are skewed in China’s favor– and investments have remained very low. Experts are hoping Mr. Modi – who worked with Chinese as chief minister of Gujarat – will adopt a pragmatic approach to push for Chinese money. If he succeeds, the visit may set the stage for an era of economic collaboration between the two Asian giants. via 5 Things to Look Out for During Xi Jinping’s Visit to India – WSJ. Thirty-five years ago, when paramount leader Deng Xiaoping launched gaige kaifang, or “reform and opening,” China was a much more agricultural country, with less than a fifth of its people living in cities. Since then hundreds of millions of rural residents have left the countryside, many seeking jobs in the export-oriented factories and construction sites that Deng’s policy promoted. In 1978 there were no Chinese cities with more than 10 million people and only two with 5 million to 10 million; by 2010, six cities had more than 10 million and 10 had from 5 million to 10 million. By the following year, a majority of Chinese were living in urban areas for the first time in the country’s history. Now urbanization has been designated a national priority and is expected to occur even more rapidly. On March 16, Premier Li Keqiang’s State Council and the central committee of the Communist Party released the “National New-type Urbanization Plan (2014-2020),” which sets clear targets: By 2020 the country will have 60 percent of its people living in cities, up from 53.7 percent now. What’s the ultimate aim of creating a much more urban country? Simply put, all those new, more free-spending urbanites are expected to help drive a more vibrant economy, helping wean China off its present reliance on unsustainable investment-heavy growth. “Domestic demand is the fundamental impetus for China’s development, and the greatest potential for expanding domestic demand lies in urbanization,” the plan says. To get there, China’s policymakers know they have to loosen the restrictive hukou, the household registration policy that today keeps many Chinese migrants second-class urban residents. China will ensure that the proportion of those who live in the cities with full urban hukou, which provides better access to education, health care, and pensions, will rise from last year’s level of 35.7 percent of city dwellers to 45 percent by 2020. That means 100 million rural migrant workers, out of a total 270 million today, will have to be given urban household registration. 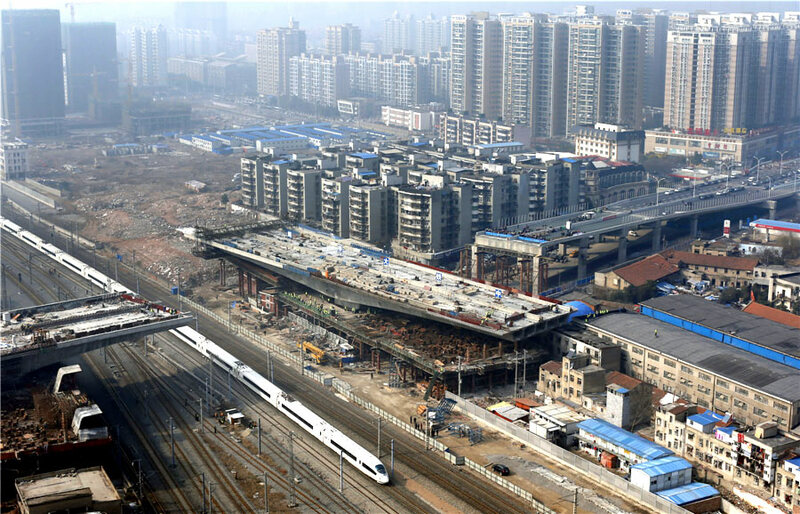 To prepare for the new masses, China knows it must vastly expand urban infrastructure. The plan calls for ensuring that expressways and railways link all cities with more than 200,000 people by 2020; high-speed rail is expected to link cities with more than a half million by then. Civil aviation will expand to be available to 90 percent of the population. Access to affordable housing projects funded by the government is also expected to rise substantially. The target is to provide social housing (roughly analogous to public housing in the U.S.) to 23 percent of the urban populace by 2020; that’s up from an estimated 14.3 percent last year, according to Tao Wang, China economist at UBS Securities (UBS) in Hong Kong. That means providing social housing for an additional 90 million people, amounting to about 30 million units, over the next seven years, Wang writes in a March 18 report. The urbanization plan appears to face several big challenges. First, the government wants to maintain restrictions on migration to China’s biggest cities, which also happen to be its most popular. Instead, the plan calls for liberalizing migration to small and midsize cities, or those with less than 5 million. Whether migrants will willingly flock to designated smaller cities, rather than the megacities including Beijing, Shanghai, Guangzhou, and Shenzhen, is an unanswered question. Another obstacle to faster urbanization is that the plan doesn’t propose how to reform China’s decades-old land tenure system. Changing the system could allow farmers more freedom to mortgage, rent, or sell their land. Finally, one of the most daunting problems is figuring out how to pay for implementing the ambitious urbanization targets. The cost of rolling out a much more extensive social welfare network will be substantial (today, most Chinese in the countryside have far lower levels of medical and pension coverage, as well as far inferior schools); building the new urban infrastructure will also be expensive. A 17,000-ton section of an overpass was rotated 106 degrees, one step closer to the completion of an elevated highway in Wuhan city, Central China\’s Hubei province, on Jan 14, 2014. The section on pier number Z63, at a height of 15 meters, was built along the railway to not disturb trains. It finished rotating and joined its other parts in 90 minutes. The completed overpass will be 256 meters long and span 11 railways, including the Beijing-Guangzhou Railway and Wuhan-Hefei Railway. It is expected to open to traffic this month. via Wuhan overpass swings into place- Chinadaily.com.cn.